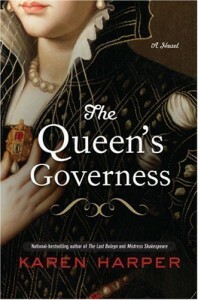 I usually love historical fiction and have read several books about the Tudors (mainly, but not exclusively, by Philippa Gregory) so I was really looking forward to this one, especially as it was from a very different perspective to normal, that of Kat Ashley, governess to Elizabeth I. However, I found this particular book slow going and quite boring in places (not to mention a few Americanisms in the text which were noticeable and irritating and which a good editor should have picked up - I don't think Henry VIII would have told Elizabeth not to "sass" him, for example) and once I'd slogged to the halfway point, I decided that I really wasn't that interested in finding out what happened next so decided to call it a day. Disappointing.